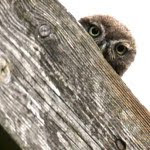 In the week it was decided that the Barn Owl Chicks where we have the "owl box cam" were at just about the right size to be rung. So on Wednesday evening we met up with Andy Smith and his young assistant, Lucy to perform the task. Originally five eggs were laid with the first hatching on March 21st, the other four hatched over the next few days and at that early stage the difference in their size was quite obvious. Sadly along the way one of the chicks (the fifth) was seen lying in the corner of the box, there was no sympathy shown by the mother as she ripped it to bits and fed it to the remaining chicks! However, as time passed by and plenty of food offerings by the parents (mainly the male) the smaller of the chicks soon caught up and now there is hardly any size difference in the four of them. Lucy holding three of the chicks just after they had been rung. A nice close up of all four together (below) before they were safely returned to the box. They were all very well behaved and the whole operation from start to finish took around 15 minutes. 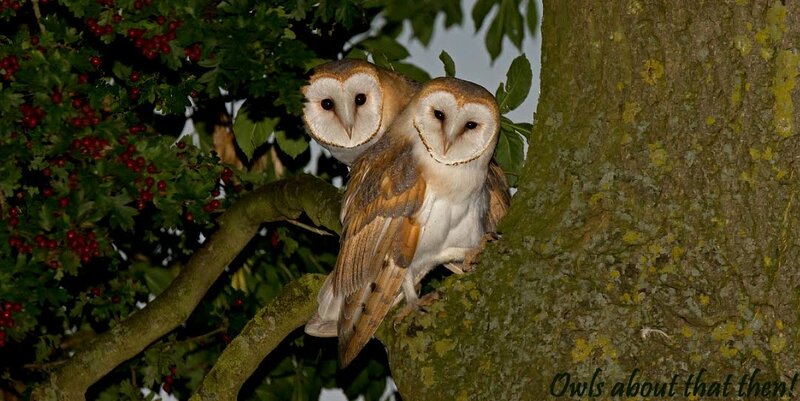 We will continue to monitor their progress via the "owl cams" and it is my guess that in only a couple of weeks from now these beauties will be off on their own gracing the countryside of south Leicestershire, here's to wishing them well.